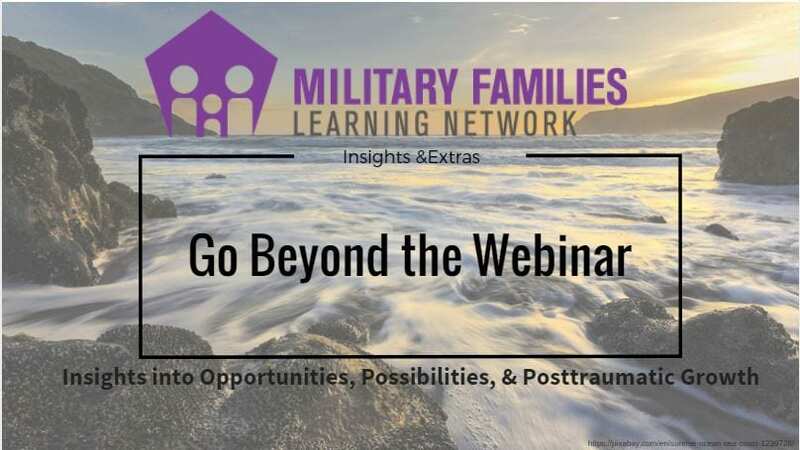 The MFLN’s Military Caregiving, Family Transitions, and Family Development Concentration Areas have teamed up to provide a two-part webinar series highlighting the topic of Posttraumatic Growth (PTG). Trauma is a psychologically seismic event that disrupts our core belief system which demands the creation of a new infrastructure. Posttraumatic Growth (PTG) is both a process and an outcome. PTG comes out of the same kinds of destructive forces as Posttraumatic Stress Disorder. Resilience and PTG are different. Resilience is the ability to “bounce back” or regain shape after adversity. Posttraumatic Growth is a new level of functioning and perspective gained after adversity- not returning to the same state or shape as before. According to existential philosophy, we all suffer, we all face guilt, and life is transitory. We can develop meaning through suffering and find meaning in the process which can change us in ways that we value. PTG does not eliminate pain and difficulty but provides something meaningful. The “primary vehicle” for PTG is the cognitive processing of challenged core beliefs. Most people come through trauma only trying to figure out how to survive and are probably not interested in growth during the early days of trauma’s aftermath. In clinical work around PTG, the focus is more on the struggle in the aftermath rather than the actual trauma. There are different routes and trajectories that people take towards growth. Based on the research, once people start recognizing the growth in themselves, PTG becomes stable in the long run. To facilitate the PTG process, the intervention is an integrative model using cognitive therapy, narrative therapy, and existential approaches. This model takes away the idea that the person is “broken” and focuses instead on the fact that they have experienced trauma and are responding in common and expected ways. The way to help includes traditional therapy and self-help and educational approaches. Expert Companionship- facilitators of PTG do not present themselves as experts on the person experiencing the trauma, but rather emphasize companionship to journey with them through the aftermath of trauma. PTG is a natural process that people often figure out on their own in the aftermath of trauma. If you were unable to attend the live version of this series, you can view the archived version of part 1. 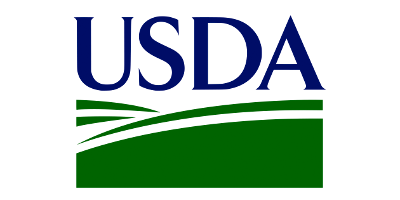 And, if you are a Licensed Social Worker, Family Therapist, or Professional Counselor, you can obtain 1.5 CEUs for part 1 until July 18, 2019. Find out more at the link for part 1 above!